This beautiful Victorian mansion was built as a residence in 1900. 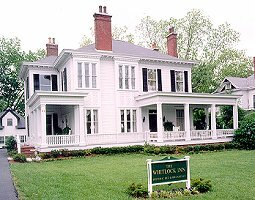 It is part of a National Register Historic District and is located in the midst of some of the South's most beautiful antebellum homes. This and other Marietta Bed and Breakfast Inns can be found here in The Register.